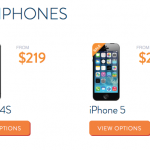 How can I get the best iPhone trade-in value from Gazelle? The next generation of the iPhone is widely expected to be announced on Sept. 9, so it’s time to get ready to trade in your old phone. We will be posting our 2015 guide to trading in your iPhone on Sept. 3, but in the meantime Gazelle has already announced its promotional trade-in pricing ahead of the “Hey Siri, give us a hint” event. 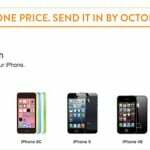 Gazelle has also released a chart that shows the trade-in values for two of its most popular models, the iPhone 4s and iPhone 5s. 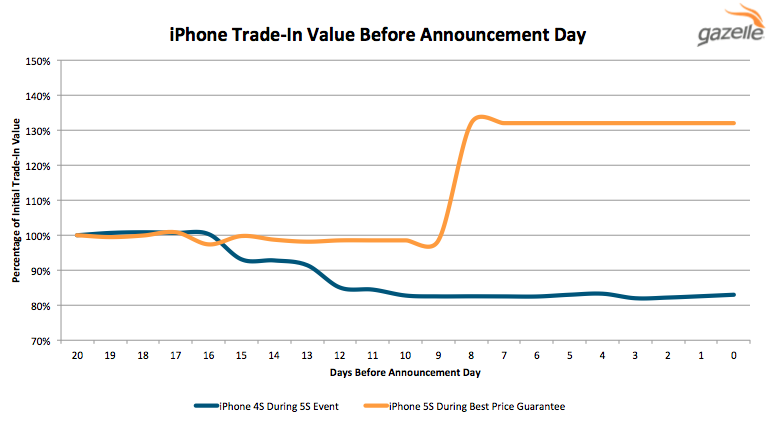 The chart, which you can see below, displays the values of the phones as a percentage of their trade-in values in the 20 days leading up to the iPhone announcement two years after each handset’s respective introduction. You can see that the iPhone 4s began to lose value two weeks prior to its anniversary date, plateauing at around 80 percent of its value 20 days prior to the new iPhone announcement day. 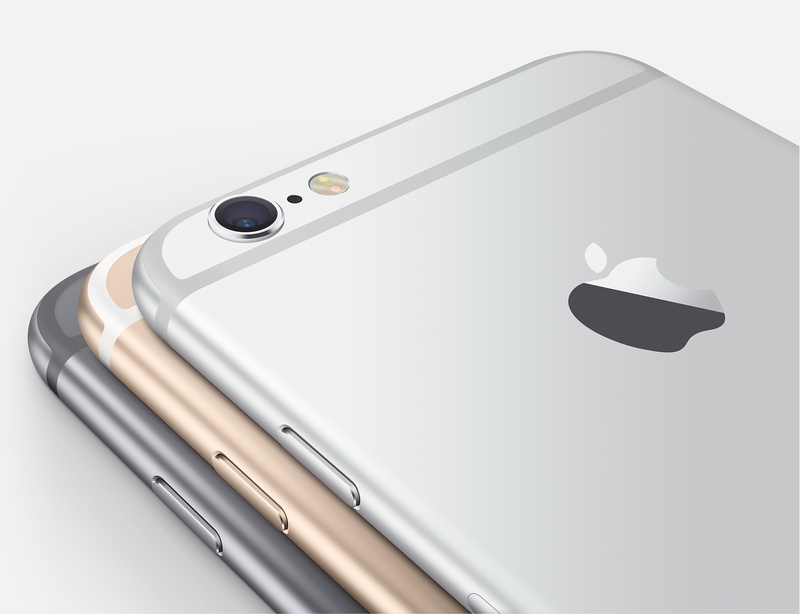 This year, Gazelle’s iPhone 5s price has increased to about 130 percent of its value as of 13 days ago. If the past patterns hold true, Gazelle recommends that customers lock in their trade-in prices sometime between Sept. 2 and Sept. 9 to get the most value out of their two-year-old iPhone 5s. Gazelle promises to beat carrier trade-in offers from Verizon, AT&T, Sprint, and T-Mobile, and continues to offer a standard 30-day price guarantee. Here are some of the best deals Gazelle has to offer on various 16GB iPhones in good condition. Be sure to check back on Sept. 3, when we will give you a comprehensive guide to trading in your older iPhone in anticipation of the new models being released.